There are many parking options in Saffron Walden which has a number of both long and short stay car parks, some which offer free parking options. 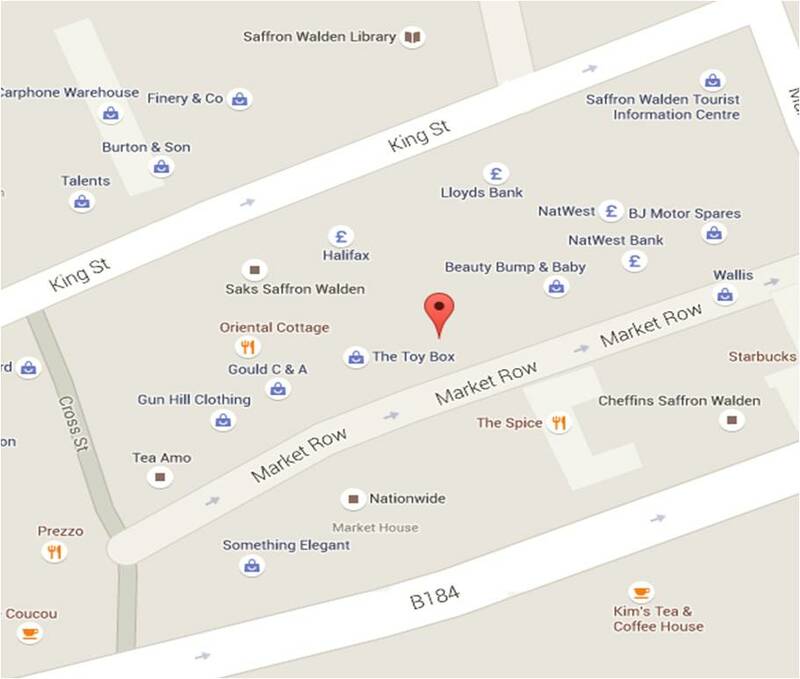 Directions: 3-minute walk – cross at the zebra crossing, go straight ahead through Rose and Crown walk, walk over the Market Square towards King Street, take the first left at Burtons Butchers, and take a left again. Directions: 2-minute walk – go straight ahead through Rose and Crown Walk, walk over the Market Square towards King Street, take the first left at Burtons Butchers, and take a left again. 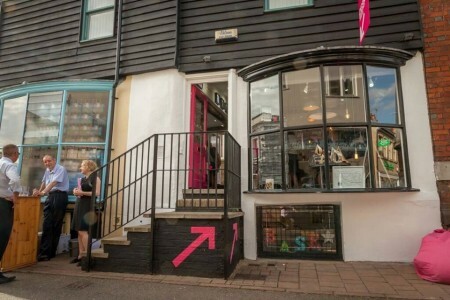 Directions: 2-minute walk – walk down the walkway at the side of Waitrose, turn left along Hill Street, cross at the zebra crossing, walk through Market Walk in between Bicicletta and Janet Riley, and the shop is 10 metres to your right. Directions: 8-minute walk – walk up Catons Lane, turn right at the Victory pub, walk past The Common down Common Hill, turn right into Rose and Crown walk, walk over the Market Square towards King Street, take the first left at Burtons Butchers and take a left again. Directions: 10-minute walk – walk down Park Lane, cross the road opposite The Cross Keys pub, continue down King Street, take the first right turning and then turn right again.